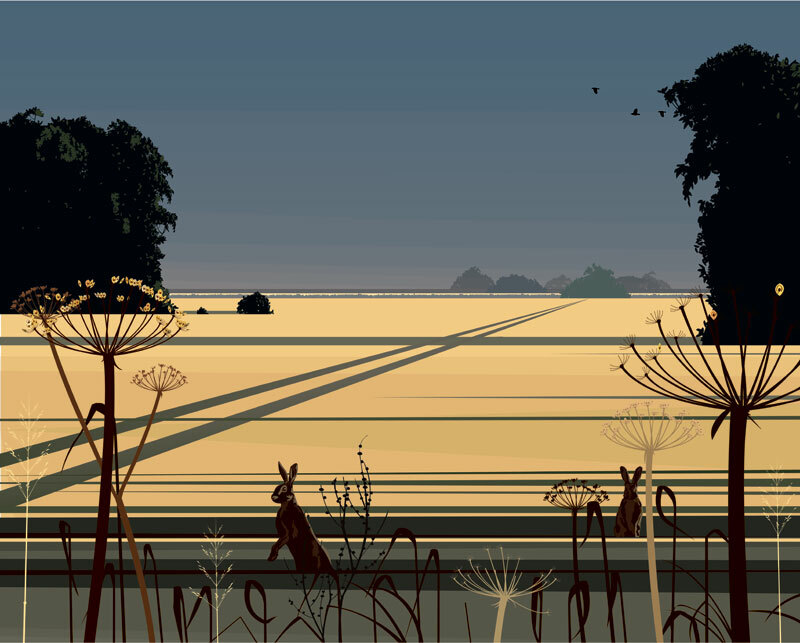 DAN CRISP HAS A UNIQUE, HAND CRAFTED STYLE OF DIGITAL PAINTING OF THE VAST AND VARIED INFLUENCES OF THE BRITISH LANDSCAPE. HIS USE OF BOLD DESIGN AND INTENSE COLOUR IS A SOPHISTICATED AND MODERN INTERPRETATION OF THE MODERN WORLD AND THE EFFECT OF LIGHT UPON IT. DAN CRISP'S TALENT AND IMAGINATION ARE EMBODIED IN THESE TRANQUIL AND REFRESHING PAINTINGS. DAN CRISP'S ARTWORK IS TAKES THE FORM OF ORIGINAL SCREEN PRINTS - EACH GICLEE PRINT IS BUILT UP WITH LAYERS OF METALLIC PRINT & VARNISH AND METALLIC GOLD LEAF ADDED BY HAND TO SOME OF THE PIECES IN THE FINAL STAGES.